Join the Barnabas Community Mailing Lists! 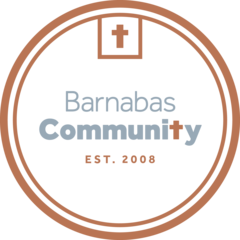 Get news from Barnabas Community in your inbox. Select which email list you want to be added to. If you are a guest or visitor to Barnabas Community and want to receive weekly updates on our services, join the "Guests" list. If you are a volunteer or wish to receive monthly updates concerning friends/volunteers of Barnabas, join the "Volunteers" list. If you wish to covenant to pray for our community's prayer concerns each week, join the "Prayer Chain" list.